Who else will come down against the Women's March leaders and their support of Louis Farrakhan? 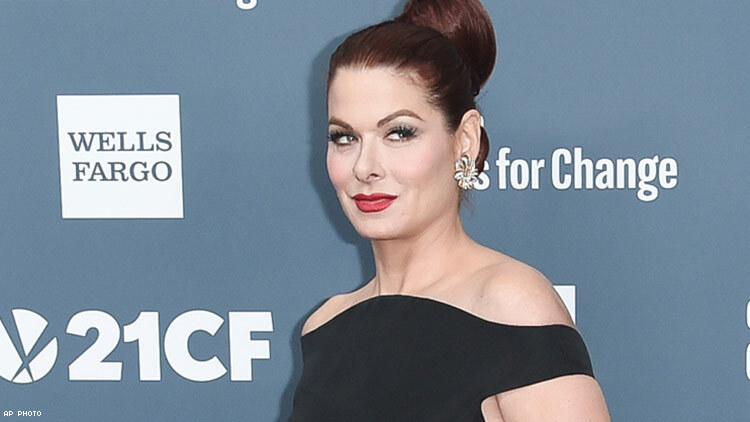 Will & Grace star Debra Messing is the latest to speak out against the Women's March and the fact that its leaders, Tamika Mallory, Linda Sarsour, Carmen Perez, and Bob Bland, refuse to distance themselves from the vitriolic anti-Semitic, homophobic, and transphobic Louis Farrakhan. Thursday night, Messing tweeted out an article from The Advocate in which #MeToo activist Alyssa Milano said she would not speak at the next Women's March as long as its leaders refuse to condemn Nation of Islam leader Farrakhan's anti-Semitism. “Any time that there is any bigotry or anti-Semitism in that respect, it needs to be called out and addressed. I’m disappointed in the leadership of the Women’s March that they haven’t done it adequately,” Milano told The Advocate last week when asked if she would speak at the next Women's March, given leaders Tamika Mallory and Linda Sarsour's association with a man who warrants his own page from the Southern Poverty Law Center, which monitors hate groups. “I would say no at this point. Unfortunate that none of them have come forward against him at this point. Or even given a really good reason why to support them." Farrakhan's hatred of Jewish and LGBTQ people is well documented. Farrakhan is an admirer of Adolf Hitler, having called the genocidal dictator "a great man." In a 2006 speech, Farrakhan said, "It's the wicked Jews, the false Jews, that are promoting lesbianism, homosexuality." In 1996, he told a Kansas City crowd, "God don't like men coming to men with lust in their hearts like you should go to a female. ... If you think that the kingdom of God is going to be filled up with that kind of degenerate crap, you're out of your damn mind." Women's March co-president Tamika Mallory sat in the audience while Farrakhan gave a hateful speech in March in which he said, "The powerful Jews are my enemy," She also received a shout-out from him and posted about the event on social media. Mallory has posted pictures with Farrakhan on Instagram, with captions such as "Thank God this man is still alive and doing well. He is definitely the GOAT [greatest of all time] Happy Birthday @louisfarrakhan!" Sarsour strongly defended Mallory against accusations of being complicit in bigotry. "I don’t think these people have our best interests at heart to make us better people or to disrupt misconceptions or anti-Semitism because trashing a strong black woman and holding her accountable for the words of a man is not the way to bring people together," she said. When criticized about her relationship with Farrakhan, Mallory refused to directly condemn his words or his history of hatred. Instead, she tweeted what many perceived as dog whistles that targeted LGBTQ people and Jews as "enemies of Jesus." Messing, who is Jewish, has been a longtime advocate for LGBTQ people. She attended the Women's March in 2017 and was a big supporter of the protest.